You take a great deal of care to ensure that all the indoor areas on your property are designed and installed well. However, you also want to ensure that the outdoor areas are well designed and that they add to the aesthetics of your property. 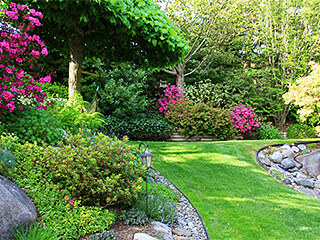 The one way to do this is to hire the services of a company that provides comprehensive landscaping services. 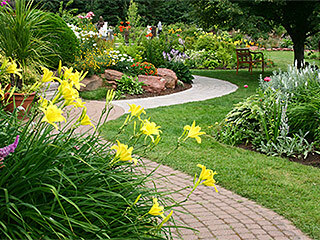 We at Scapes and Stones are one of the leading landscaping companies in this field. Over the years, we have provided high grade solutions to customers throughout greater Las Vegas, NV and surrounds. When you approach us with your requirement, we come over to your home, survey all the spaces that have to be landscaped and provide very detailed design solutions. We take into account aspects such as the layout of the land, the existing plants and natural elements on your property, as well as any specific preferences you might have. We also keep the landscape cost in view at all times and ensure it fits well into your budget. We are a company that adopts a very customer-centric approach to our work; and it’s why we also provide computerized 3D landscape design services. There is a distinct reason why we have adopted this technology. It helps us give our clients a very clear idea about what their landscaped areas will look like once they have been installed. There is a dual benefit to this; if they don’t like a particular feature or material, we can change that in the designing stage. This reduces the trouble, time and expense on redoing the installation of that particular feature. Our customers love the fact that they are able to see these three dimensional images and get a very clear-cut idea about how these elements look. They sometimes come back to us and discuss certain points again and make the changes they want. Once the new yard designs have been approved by them, we then go ahead with the installation and complete it within the stipulated time frame. Paver driveways, pathways and walkways etc. We are a company that never cuts corners in its work; we use the best materials and workmanship and this ensures the final product looks and feels very elegant and well-finished. Our customers are always happy with our work and we handle jobs of every scale. Regardless of whether you want an end–to-end landscaping solution or just want to upgrade a certain area/s of your landscaping, we can help you with it. Speak with the Scapes and Stones experts at this number 702-278-3228 and give us some more details about your project. You can also contact us through our online form and we will respond shortly.